Work and home used to have much cleaner boundaries before the age of 24/7 connectivity. We blend work with just about everything, but then compartmentalize how we view work versus our personal life and outside activities. We forget to compare the amount of time and energy we spend on each, which then quickly creates an imbalance between work and "other." This split in two directions can cause anxiety because we are fearful or uneasy about how we manage our life. In order to be the best you can be, all aspects of your life need to be in balance. If you are working too much, then you will not have the energy to do things when you are not at work. If you play too hard outside of work, then you will not have the energy for your job. Balance is a tricky thing. It is not certain that absolute balance is possible at any given time. What is possible, however, is a balance on average, over time. Our lives are not steady and work is constantly changing, so the reality is that some days will require you to focus more on work, and other days more on personal life - tipping you off balance. 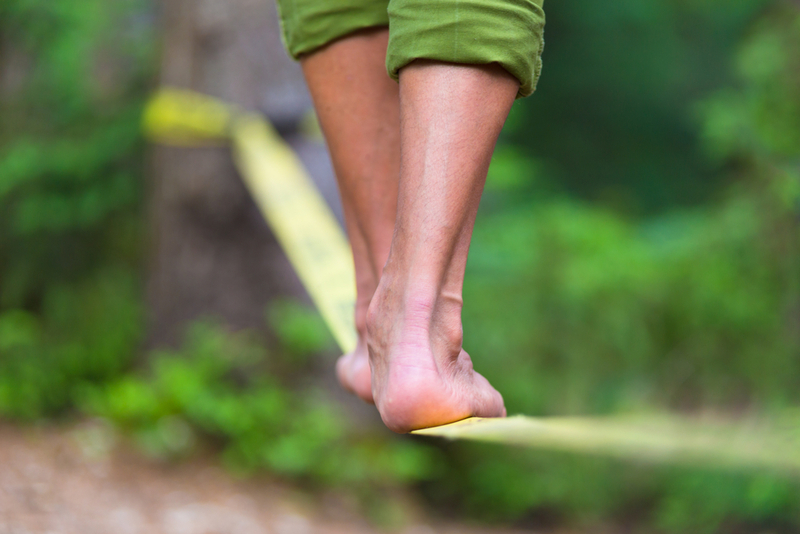 The key is to counter-balance your activities in order to bring your energy and focus closer to center. Through much trial and error, I have landed on six guiding principles that I personally practice and advocate for all my friends and family, and through my corporate work at Actualize Consulting. We give each new hire a soft squeezable "Zendoway Cube" that I created, with different prompts printed on each side as a reminder of these daily principles. The truth is that many of us forget to breathe during the day. Yes, we breathe enough to stay alive, but we don't breathe in ways that take full advantage of the powerful ally our breath can be. In times of stress, we can turn to our breath for relief. It's free, easy to access, and an effective antidote to the anxiety and physical symptoms of stress. Movement is another way of taking care of your well being. Don't picturing me sending you to the gym for a workout, that's not what I'm talking about here. I learned in my yoga training that opposites heal. Many of the aches and pains we experience are due to us not moving our bodies. We are not made to sit all day every day; we need to do the opposite of sitting, and move. Be creative in how you choose to move, using simple exercises at your desk, walking a few minutes every hour, dancing, or taking time to play your favorite game. The principle of nourishment is about more than putting food into our bodies. It's about taking the time to get to know our own nutrition needs, and to provide for those needs in a way that is life-giving and positive. If we are not eating a well-balanced diet, then our personal performance, whether at home or at work, suffers. Think about the days you might have had a chocolate bar and coffee to get you over that afternoon slump. It may have done the trick for 15 minutes, but then your energy faded out. That's not a healthy way to nourish yourself. Each day, ask yourself how your food and drink choices are impacting you. Are they fueling and energetic choices or quick fixes to get you by emotionally? Our daily routine must allow space for us to flourish. I advocate taking time for yourself each day. As a simple start, consider "What inspires you?" Make a list, then complete an activity that inspires you or that you love. In the book, Essentialism, by Greg McKeown, he describes how LinkedIn's CEO Jeff Weiner schedules up to two hours of blank space on his calendar every day. McKeown also points out that Bill Gates takes up to one week each year just to read and think. We also must make time for ourselves to just be in the moment. I know it's easy to get caught up in all that we have get done each day. It might seem like having to pay attention to your work/life balance is just one more thing to add to the list, but I can promise you it is worth adding. When your life is balanced between work and other activities, you will be more satisfied, more motivated, happier, and healthier. As McKeown says, we have the option of "living by design, not default." We have the power to choose what we engage in each day. We can take the initiative to design our life instead of having our life design us. We can choose balance.